1. A prototype may not be understood as a paradigm of what should be done or as a previous version of a type made out of summarizing constants after the analysis of complexity and variability. "Putting these variables in variation" is more interesting and that is what a differential prototype does. 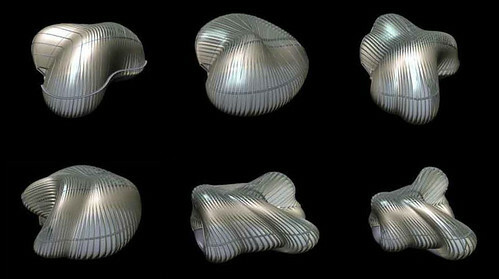 Adding topological meaning, which has to do with homeostatic changes and variability related to compact and connected spaces, comes the definition of prototopo. So, a prototopo would be the adaptive, evolutionary and developed environment to experiment new ways of inhabitance. 1. Cannon, W.F. (1932). Homeostasis from "The Wisdom of the Body". 2. Lynn, G. (1998). Geometry in Time en Anyhow. 3. Macho, M. (2002). Que es la topología. SIGMA, 20, p 63-77. 4. Sloterdijk, P. (2006). Esferas III. Ediciones Siruela. 715 pp.